Want to visit the Cofete Beach? A true paradise with 12 km long beaches! It is surrounded by wild nature. Behind the Cofete Beach you will find the highest mountains in Fuerteventura, Jandia mountain, it is massive and add drama to the golden sands and rolling waves. Asturias has some spectacular beaches showing that the Cantabrian Sea is a great option for a dip (although the water is freezing). La Playa de Torimbia near Llanes, is precious. Quite frequented by nudists, has 500 meters wide, clear waters and a huge shell white sand. 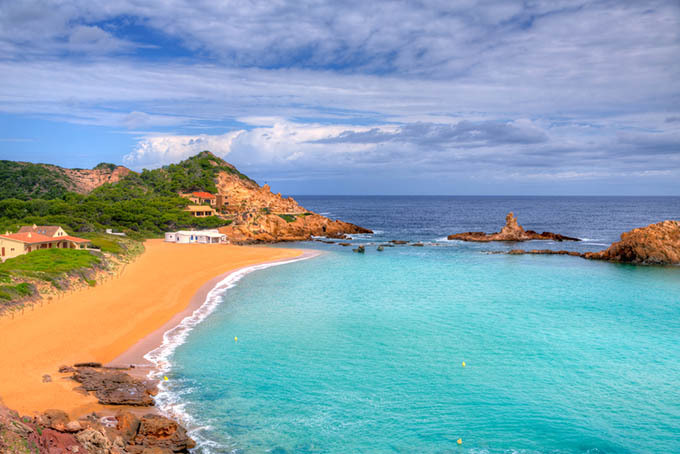 Cala Pregonda is one of the most exotic beaces of Menorca although finding it is not so easy … But after walking 30 minutes comes the reward: a reddish beach, lunar, with water so clear that you will feel you’re in another world. 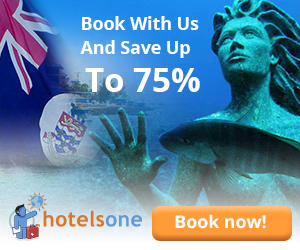 Where you can swim beside a castle? 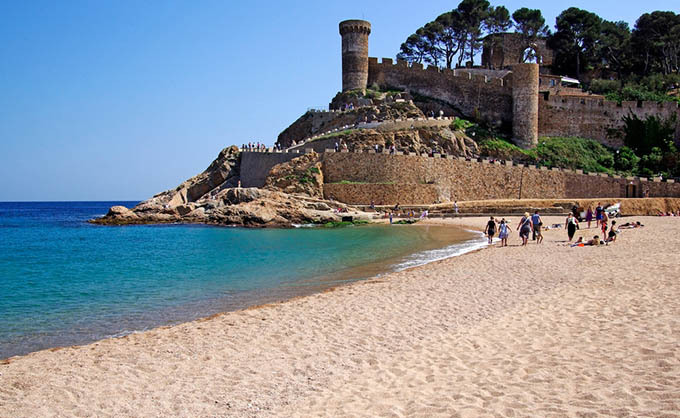 The beach of Tossa de Mar is one of the few places in which a fifteenth-century walled fortification dominates the landscape. 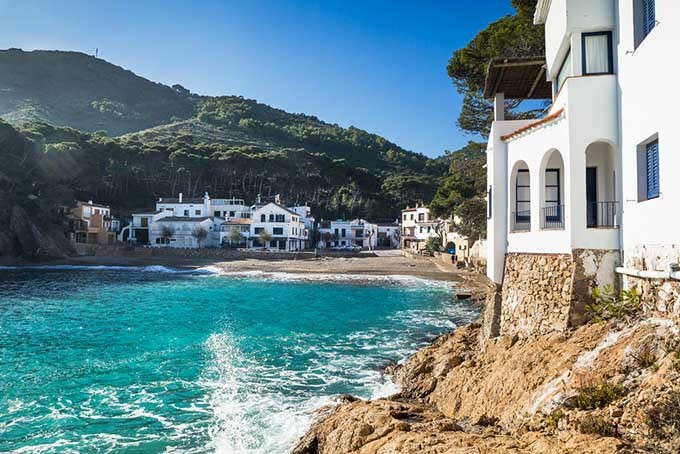 With a family audience and next to the heart of this beautiful town on the Costa Brava, is a good choice. If you want something more secluded, Tossa has coves as Giverola or Salionç that will leave you with your mouth open. Absolutely stunning! SCORE: 4 OF 5 STARS!